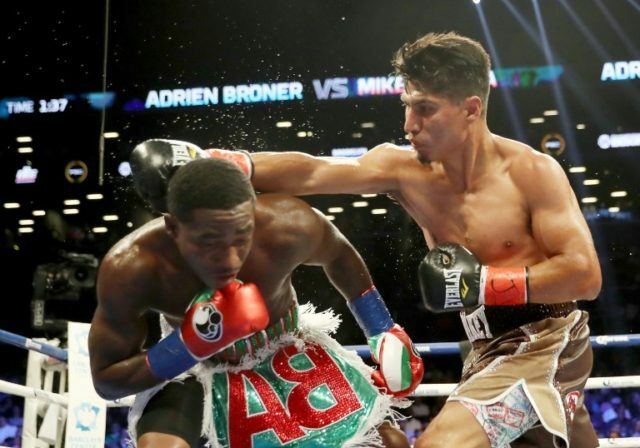 New York (AFP) – Undefeated Mikey Garcia’s bid for a fourth world crown in a super lightweight showdown with International Boxing Federation champion Sergey Lipinets of Russia has been postponed to March 10, promoters announced Friday. Unbeaten Lipinets suffered a hand injury in training for a fight card that had been scheduled for February 10 in San Antonio, Texas. The bouts will remain in San Antonio, but the venue will be moved from the Alamodome to Freeman Coliseum. Garcia, 37-0 with 30 knockouts, captured the World Boxing Council lightweight crown a year ago and has owned World Boxing Organization featherweight and super featherweight titles. Lipinets, 13-0 with 10 knockouts, took a unanimous decision from Japan’s Akihiro Kondo in November at New York to capture the vacant IBF crown and will be making his first title defense. Also moved back a month was the undercard feature, for the vacant WBA super lightweight title and a possible unification bout with the Garcia-Lipinets winner, between Cuban Rances Barthelemy, 26-0 with 13 knockouts, and Belarus’ Kiryl Relikh, 21-2 with 19 knockouts, in a rematch of last May’s unanimous decision victory by Barthelemy.